hitting the pool and don’t know where to safely stash your cash, cards or keys? we say, stuff ’em in a pair of flip flops (aka slippers) like the SlotFlops. not surprisingly, SlotFlops is from the same folks who brought to you ArchPort YogiStash which we featured here exactly two years ago. so what’s different about the new SlotFlops? 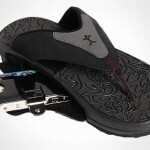 firstly, the new iteration is way more regular looking and blends in easily with anyone’s everyday footwear (i.e. it won’t be a target of slipper thieves, but can’t say the same for dogs). secondly, its lighter and more streamlined in design, and most importantly, it cost just half of what the ArchPort was at just $25.99 a pair. the SlotFlops features nylon uppers and ethylene-vinyl acetate mid- and outsoles construction and each sole has a built-in secret compartment that’s good for stashing your credit cards, id, bills or even room keys (less any bulky keychain, of course). 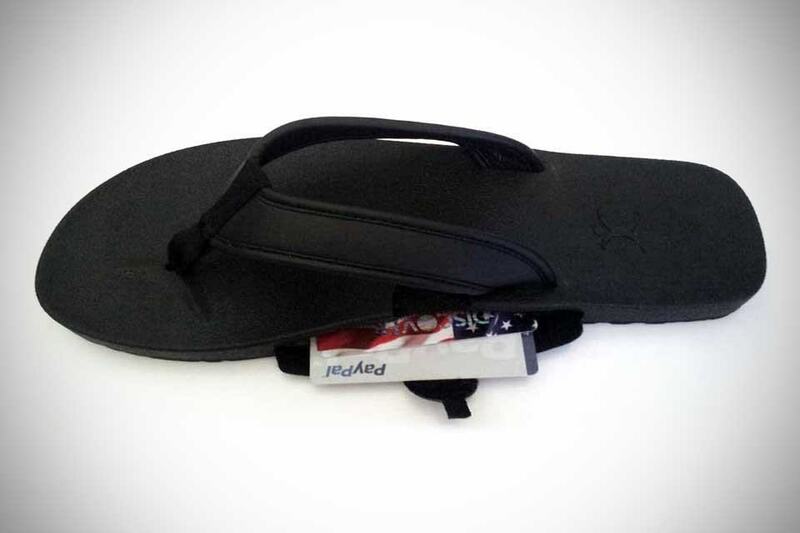 according to SlotFlops’ official product page, each pair comes with two protective Tyvek sleeves for protecting your credit card while being nested inside the flip flops. however, the product description on Brookstone, where the SlotFlops are sold, did not mention this. 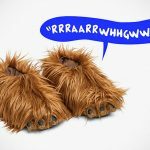 so, you may want to clear the air with the seller prior to buying the slippers. available now for both men and women. NOW READ Who Would Have Thought The Mjolnir Is Good As A Toilet Paper Holder Too?